OAR PSNT - Vocations: How do I go about becoming one of you? You have already seen that we have brought together people of different backgrounds and very varied upbringing and culture. We all have something in common, that sense of “having been called to this”, that certain “not sure what” that led us one day to knock on the door of the Order to become a part of it. Beginning from a certain restlessness, experienced by each one in his own way, the reasons are very diverse: having met someone very special whose personal example pushed us towards this way of being happy; feeling a special attraction for a particular work, such as the missions; feeling out of sorts with the consumerist or individualistic way of life that is offered to us nowadays; a desire for a greater living of the spiritual life, of prayer, of communion with God. For almost each and every Augustinian Recollect there will be a different initial reason at the moment of opting for this path. The personal vocational process is something very intimate, personal, and different for everyone. 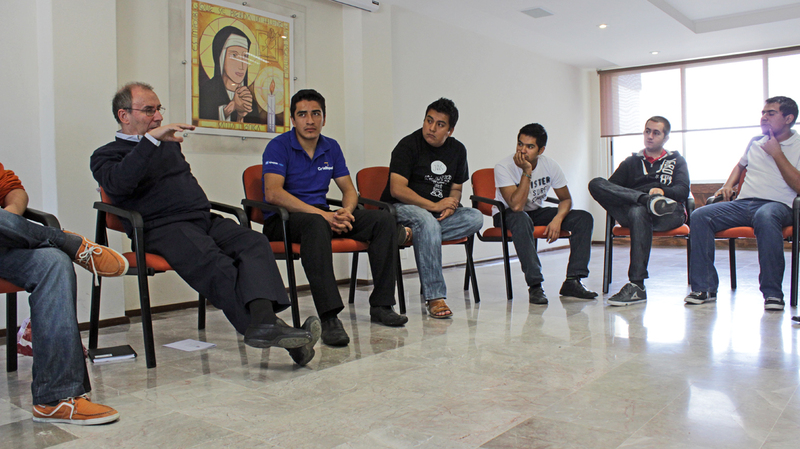 In our houses there are vocational orientators with whom you can talk for the first time. In each zone, there are also one -or several- vocations promoters who will start a personalized search to see whether or not you really are called to this life. Whoever makes the decision to follow Jesus as an Augustinian Recollect enters on a process of formation and guidance according to the IVAR (Augustinian Recollect Vocational Programme, from its initials in Spanish), prior to entering a formation house. Generally speaking, to arrive at being an Augustinian Recollect means passing through three stages: an aspirancy, in which one begins to know our way of life; a postulancy, for those who have a clearer idea about their option to follow Jesus as an Augustinian Recollect and thereby begin our particular course of studies; and a novitiate, an full year of deep spiritual experience and thorough knowledge of our way of life, our history, and our laws. St Augustine Postulancy, Mexico City. At the end of the novitiate the first profession is made, by which one becomes an Augustinian recollect, a member of the Order. Following on from this profession, there is a time of initial formation that lasts for at least three years. Everything is designed as a preparation for the final step, the solemn profession: the one makes this makes a life-long commitment as an Augustinian Recollect. 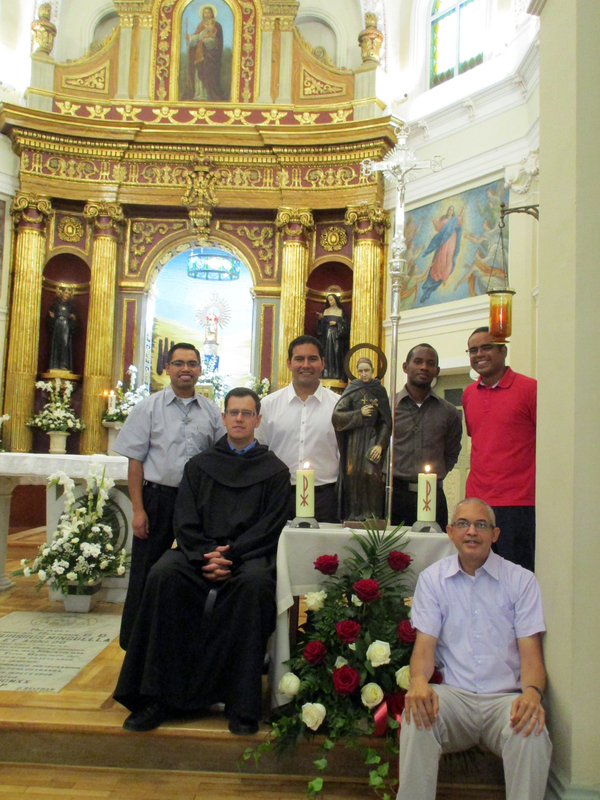 Novitiate for Europe of the Augustinian Recollects, Monteagudo, Navarra, Spain. 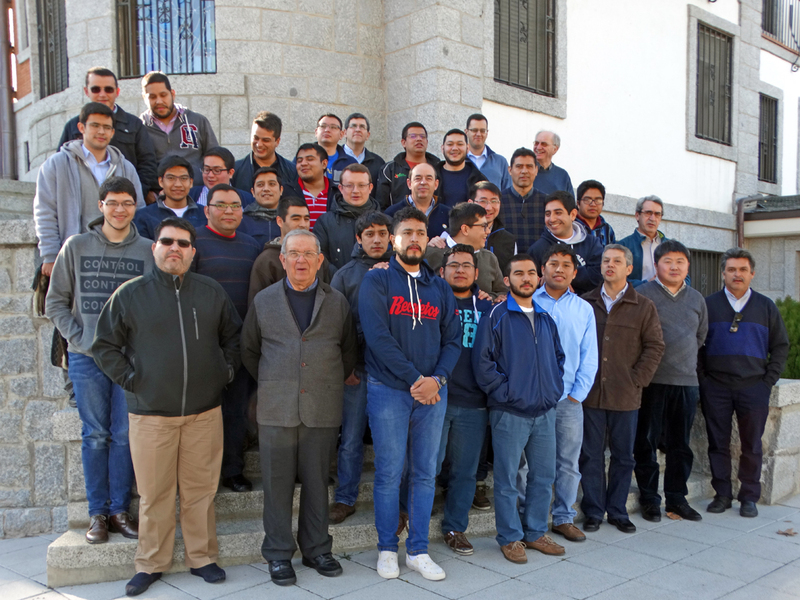 The formation process for an Augustinian Recollect follows the IFAR (Augustinian Recollect Formation Programme, from its initials in Spanish), a document that covers both what we call initial formation as well as permanent formation. Initial formation begins from when someone enters a house of formation through to ordination as a priest, or two years after solemn profession. Permanent formation lasts all life long. St Augustine Formation house, Las Rozas, Madrid, Spain. Religious in initial formation line up with the religious formators from the aspirancy houses, novitiates and theologates from the province of St Nicholas of Tolentino.